Is Edward Burns the Next Woody Allen? In terms of film maker, Ed Burns seems to have his sights set on becoming the next Woody Allen. The majority of his film projects are shot in New York City, where he tends to use a variant of bars and restaurants for conversational scenes. In recent times, Woody Allen has left the hustle and bustle of Manhattan for European locations such as Paris for the romantic comedy Midnight in Paris, the Italian capital for To Rome with Love and Barcelona in Spain for Vicky Cristina Barcelona. 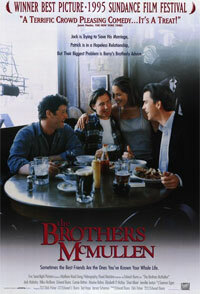 This has allowed writer and director Burns to pick up the baton and produce low budget films in Manhattan. Another similarity to the Woody Allen films is that Ed Burns uses actual location interiors for apartments and shops rather than using studio soundstages. Burns openly admits to being a Woody Allen nut, claiming that Allen is the reason he makes movies. But is Edward Burns the next Woody Allen? Edward Burns was born in Woodside, Queens, New York, and is the Son of Molly (née McKenna), a federal agency manager, and Edward J. Burns, a public relations spokesman and police officer. He is the second of three children in an Irish American family. He was raised in Valley Stream, New York, on Long Island, and briefly attended Chaminade High School before transferring to Hewlett High School. After high school, Burns attended SUNY Oneonta and University at Albany, before earning a degree in English from Hunter College in 1992. Burns got his start in the film industry right after college as a production assistant on the Oliver Stone film, The Doors. While working as a gofer at Entertainment Tonight, he financed, produced, directed and starred in his first film The Brothers McMullen in his spare time, which was largely shot in his hometown of Valley Stream. Once he completed the film, he was able to get a copy to Robert Redford after an ET junket interview for Quiz Show at the Rhiga Royal Hotel in Manhattan. 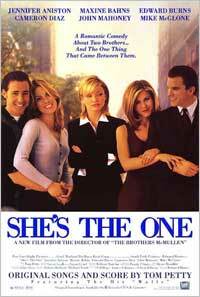 In 1996, Burns wrote, directed and starred in the ensemble drama She's The One with Jennifer Aniston, Cameron Diaz and Amanda Peet, as well as Sidewalks of New York in 2001. Burns is also known for his acting work on movies such as Saving Private Ryan (1998), Life or Something Like It (2002), and Confidence (2003). Looking for Kitty (2004), which Burns wrote, directed and starred in, was shot with a hand-held $3,000 digital Panasonic AG-DVX100 camera with a Mini35 adapter. 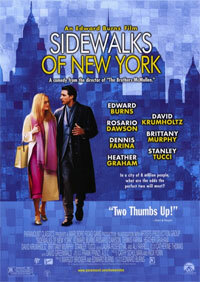 The film's entire budget was $200,000 and was filmed in New York City with a tiny crew and without standard permits. His film Purple Violets premiered exclusively on iTunes on November 20, 2007. 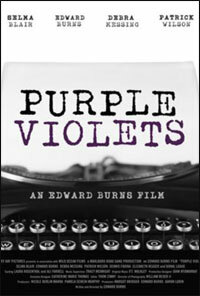 With the modest success of Purple Violets, Burns was considering taking a studio directing assignment to make money. After reading a few scripts and taking a few meetings, he decided that he chose to get into film to be a writer/director. He then wrote "Nice Guy Johnny" and shot it quickly, on the RED One camera, for a reported $25,000 with a small crew. "Nice Guy Johnny" premiered at the Tribeca Film Festival in 2010.